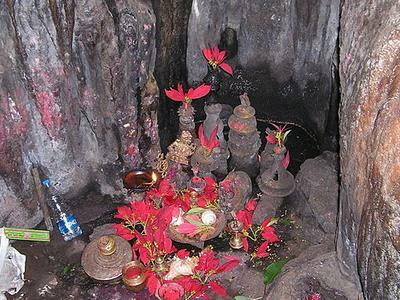 Boora Caves is one of the most significant tourist spots as well as a religious destination for the Hindus. It is situated in the Ananthagiri Hills of Andhra Pradesh. A 5 to 6 hours journey by the train will make you live the moments with awe and wonder. Take a look at the article before you plan your next holiday trip. It was the month of December and the weather in Hyderabad instigates you to be at outdoors. We were searching for a spot which would not take much time and effort on travelling, so that we can spend a weekend exploring every nook and corner of the place. The name of Borra Caves popped up in the browser, and the description and whereabouts left no other choices but booking off the tickets immediately. It is situated around 92 kms at the north of Visakhapatnam. So if you are travelling by air the nearest airport you land is either Vizag or Hyderabad. That's the central point of departure. Toreach the caves, you can either take a train route and also a route by road. The Kirandhool Express is the only train that passes by the station of Borra Caves ( Station Code: BGHU). The distance is only about 100 kms from Vizag, so it takes just a 5-6 hours of journey through 30 tunnels and breathtaking greenery and hilly terrain. 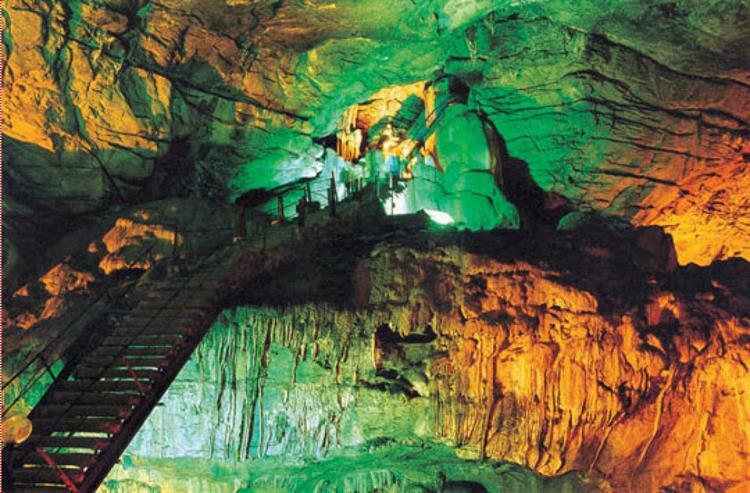 The Borra Caves which is known as Borra Guhalu in Telugu means Caves that has been bored into the ground. 'Borra' is something that has bored into the ground and 'guhalu' stands for caves. Located at the East Coast of India, in the middle of the Ananthagiri hills of the Araku Valley, it is one of the most significant tourist attractions in the Visakhapatnam district of Andhra Pradesh. The caves, being one of the largest in the country, can be found at an elevated point of 705 m (2,313.0 ft), explicitly exhibiting various forms, shapes and sizes of speleothems. The caves are made up of karstic limestone structures in majority that extends to a stretch of 80 m (262.5 ft) because of which it is considered the deepest cave of India. The length of the Borra Caves in totality is about 200 meters. The Dandakaranya - Bolangir - Kibur train track passes besides the caves. The hill tracts are inhabited by the local tribes named Jatapu, Porja, Kondadora, Nookadora etc..The latest research conducted by the Indian Anthropologists have discovered stone tools of middle Paleolithic Age that dates back to 30000 to 50000 years that indicates human habitation being present in the caves. A famous British geologist William King, discovered this cave in 1807 which is a naturally formed cave that is believed to be more than 150 million years old. It is the Humic acid which mixes in the water and reacts with the Calcium Carbonate present in the limestone and then dissolves the minerals that keep breaking the rock in a continuous flow. When we reached thee caves finally, it was an unexpectedly spectacular view. The cave opening measures almost 100 m horizontally and 75 m vertically. Stepping inside it is a magnificent panorama stalagmite and stalactite formations throughout the cave in various shapes, sizes and colors. Visitors seem to have given different names to these different shapes of stalagmite and stalactite formations like Human brain, Crocodile,Shiv Parvathi, Mother child, Rushis Beard etc. There are even more surprising structures inside the cave that look like mushroom formations, temple, church and whatever your imagination can match with. There are many crystal white calcium stones which have also taken sculptural forms. And all these shapes create an optical illusion of hidden treasure as it is illuminated, decorated and glittered by sixty three lamps of made of mercury, sodium vapour and halogen. Because of the amazing formations found in the cave, it has become a very significant place for Hindu Religion. There are stones which are the exact shape of 'Shivalingam' and there is an idol of the cow known as Kamadhenu. 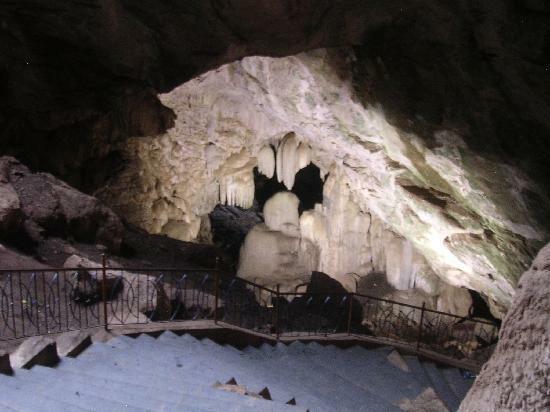 So, the Borra Caves isn't only a tourist spot, but also a religious destination point since ages. Our tour started with Borra Caves, but we got a long list of places to visit around it, and each of them were worth visiting. The best possible accommodation in all respects - view, cleanliness, hygiene, security and affordability, we found Haritha Resort the best of all. In recent days many other hotels are available, and you may try them out. The visit to Borra Caves was unforgettable and unique. Starting right from the journey to the interiors if the caves, it was all breathtaking scenarios with information which make you feel proud of the history of your country. It is a tourist spot which can claim an International weight age, if our Government makes arrangement to highlight its importance. It can also be a very apt spot for advanced archaeological studies. For tourists, it takes you back to those ancient days, which is an experience beyond imagination. I had travelled around these places in a train. this is actually close to araku valley in viskahpatnam.It's a breathtaking view to see while travelling in a train through the hills. by the way, horsely hills i have heard about. is it worthy to go there?